Puppies Rupert and Finn enjoyed opening night with Dan Paterson and Lee Usher-Clarke. Photo by Glynis Quinlan. 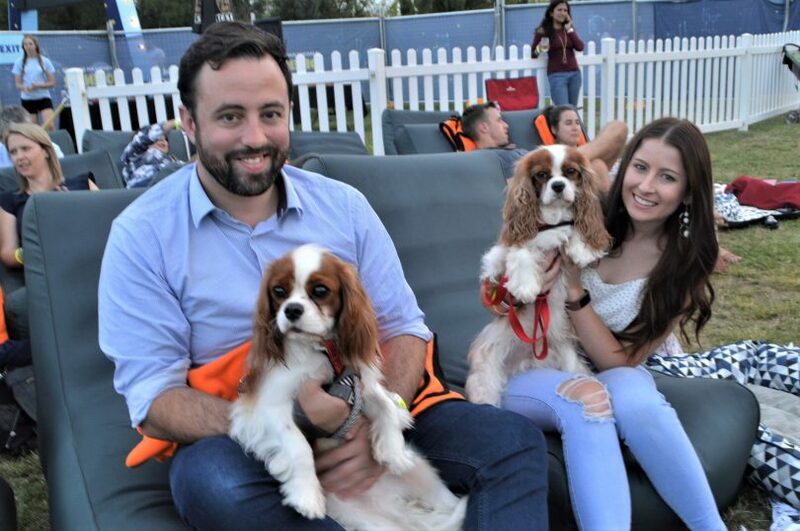 The dogs were out, the popcorn was in abundance and the crowds lapped up the balmy evening at the opening night of the American Express OpenAir Cinemas in Canberra on Thursday. Heart-warming new release movie Wonder proved a hit with the gathered crowds and family groups. The movie starring Julia Roberts and Owen Wilson even provided something for the dogs in the audience, with the family dog Daisy adding some onscreen doggie drama. 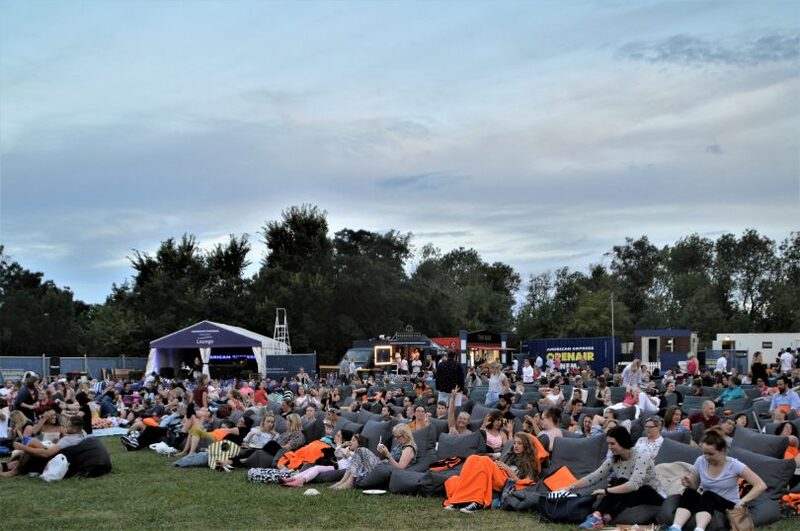 Held on the Patrick White Lawns near the National Library of Australia, the festival-style events run until February 25 and include live music, DJ performances and food stalls. On Thursday night singer ALOÏSE wowed the crowd with her beautiful voice and original compositions. 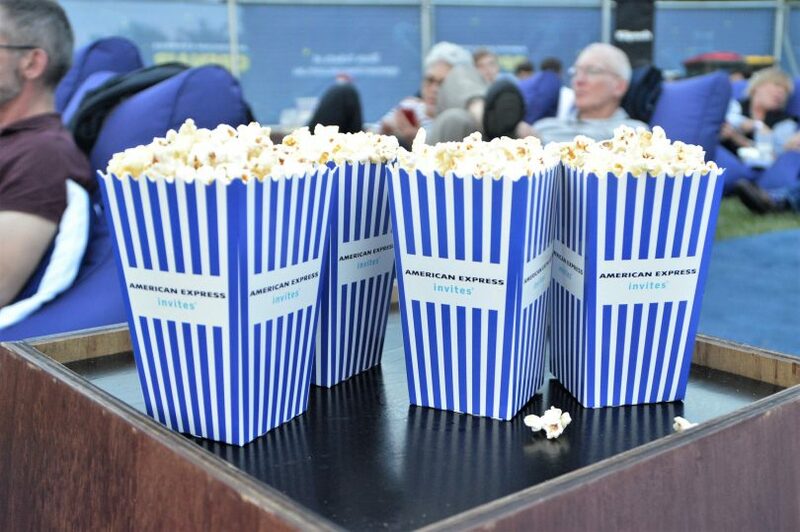 This year’s movie program is an exciting mix of box office hits, highly-anticipated new releases and cult classics. 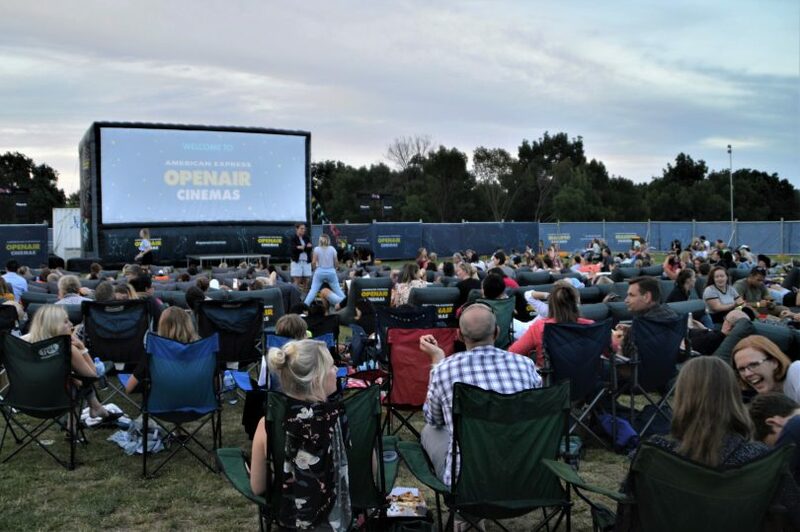 Tickets start at $13 and are on-sale via: openaircinemas.com.au. ‘Doggie dates’ are welcome and you can find out more by clicking here. Below are some photos from the fun and action on the opening night. 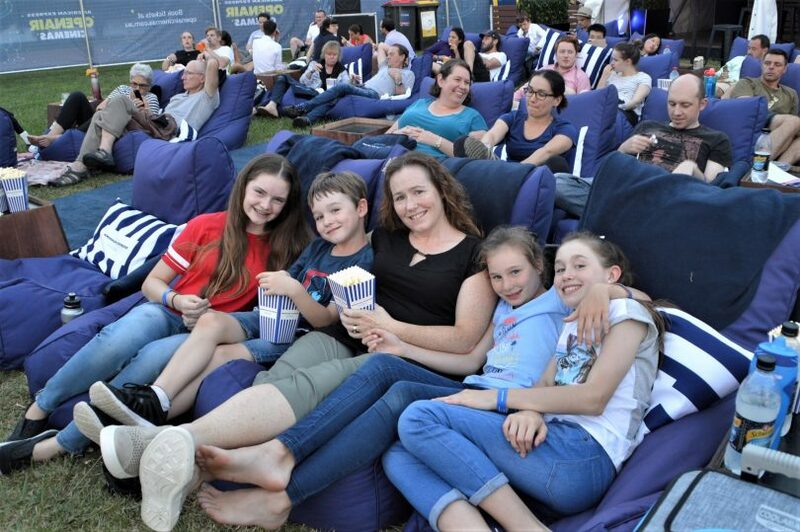 Enjoying the family-friendly movie were Canberrans Bianca Smith, 13, Zavier Janssen, 6, Sonya Janssen, Madilyn Janssen, 9, and Jayelin Janssen, 12. Photo by Glynis Quinlan. Some of the crowd enjoying the opening night. Photo by Glynis Quinlan. 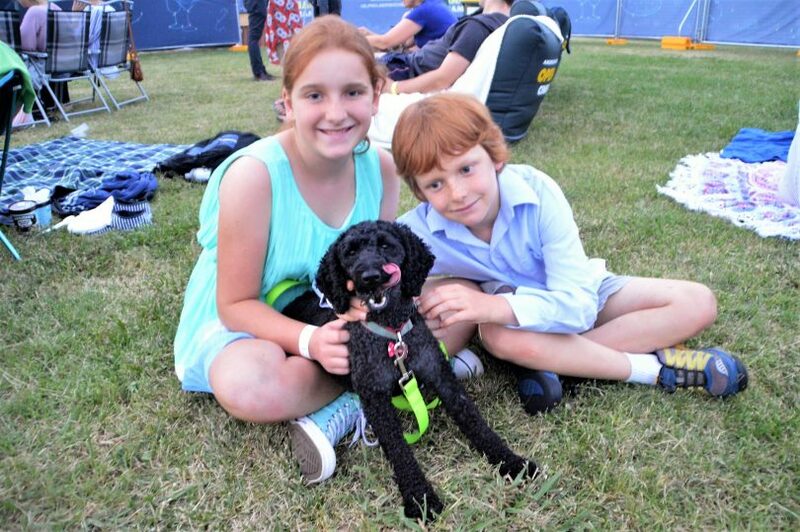 Matilda Milton, 11 and Angus Milton, 9, with their dog Sparkles on opening night. Photo by Glynis Quinlan. There was a solid crowd for the opening night. Photo by Glynis Quinlan.